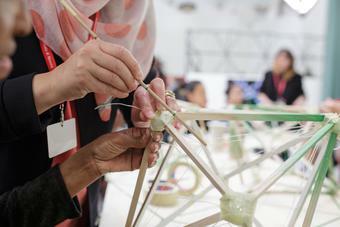 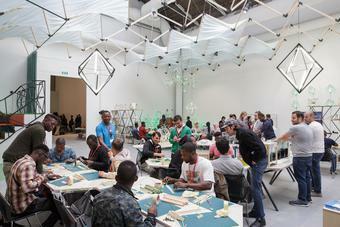 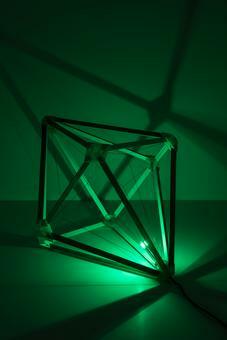 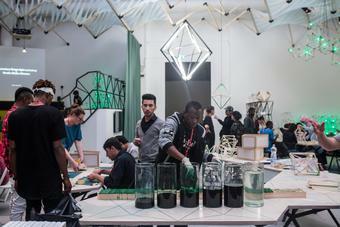 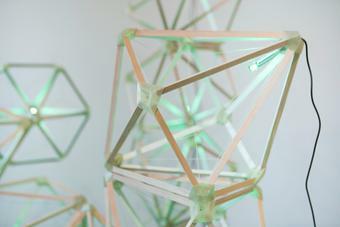 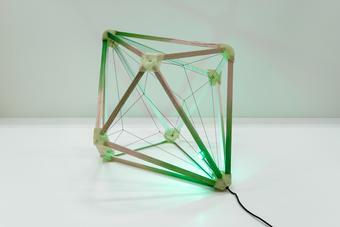 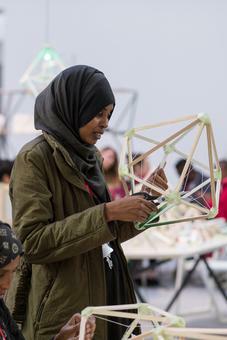 As part of the exhibition Viva Arte Viva, the 57th International Art Exhibition – La Biennale di Venezia, curated by Christine Macel, presented Olafur Eliasson’s Green light — An artistic workshop. 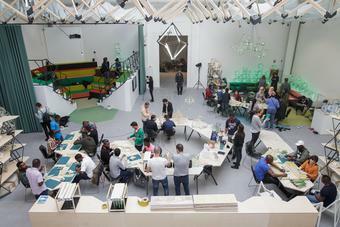 Initiated by Eliasson in collaboration with Thyssen-Bornemisza Art Contemporary (TBA21) in Vienna, Austria, in 2016, this project is a response to the current geopolitical situation in which millions of people have been uprooted by war and violence as well as to broader issues surrounding global migration. 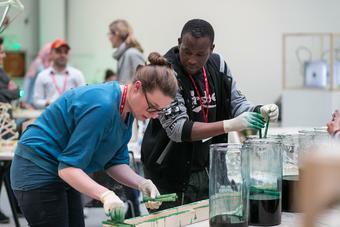 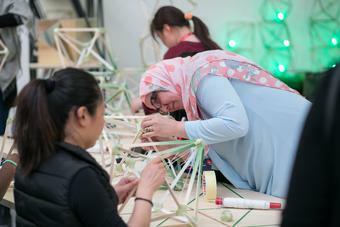 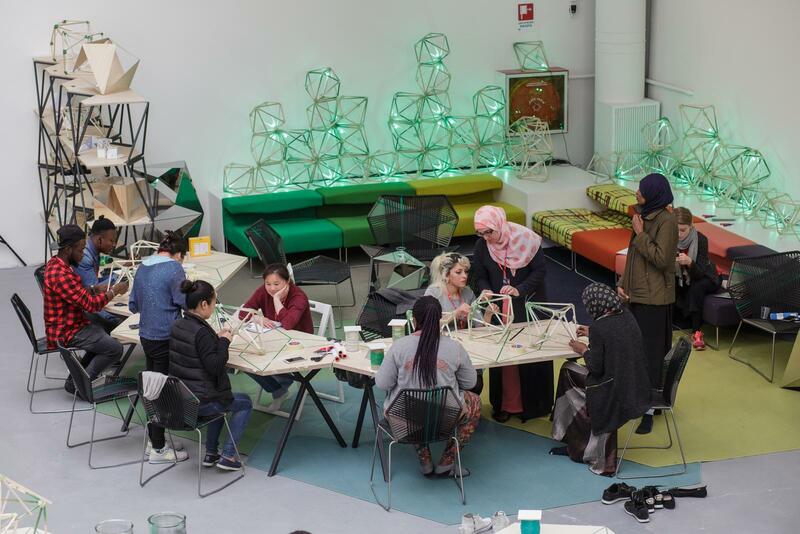 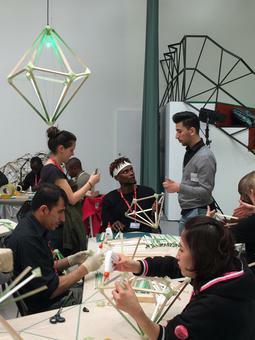 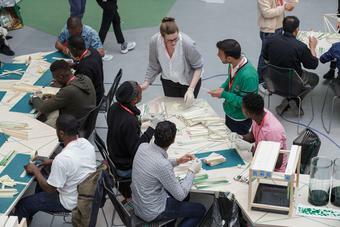 It shines a metaphoric green light to asylum seekers, refugees, and economic migrants by inviting them to participate in a multi-faceted program of creativity and shared learning. This includes a workshop for the construction of Green light lamps, as well as language courses, seminars, artist’s interventions, and film screenings.